The plan is to build a 1/8th scale Grand Prix car of 1927, the Delage 15-S-8. Measurements were taken, now I'll have to turn those into a 3D drawing. After that the building can begin... but we're a long way from that. It is my current intention to make a video log of my progress, as that seems to facilitate both explanation and understanding of what I'm doing. The second video* I made featured a basic introduction to Fusion 360 (part 1 of 2). * Sorry to submit multiple posts but the forum allows me to include only one video per post. 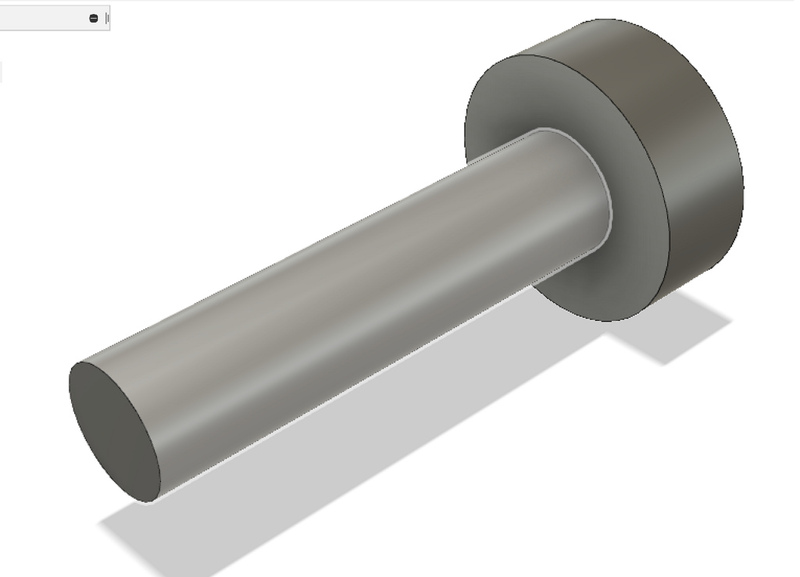 The third video, posted online today, resumes the introduction to Fusion 360 (part 2 of 2). This is how things stand now. Thanks for watching! Last edited by Roy vd M.; 12-11-18 at 06:21 AM. 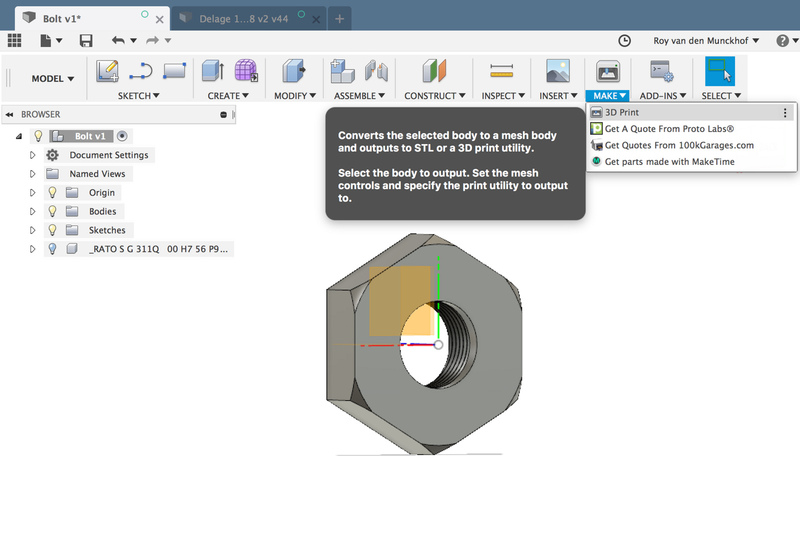 Hi Roy and welcome as a member, it look easy on that Fusion 360, but can they be transfered to 3D printer to print parts. Thanks Egon for your quick first reply and your welcome! The Delage, and this racer in specific! What a fantastic choice! The car you saw in Florida was once here in Southern California, in a museum very close to me, but I was not aware of that until it was moved! I will be watching your posts very closely and I wish you lots of luck! PS- I just went to Britmodeler.com and boy! do you have a lot of documentation!!! I enjoy research, but you REALLY ENJOY RESEARCH!! I will have to go through it all when I get home tonight! Very exciting! I'm going to be looking forward to seeing your progress. Last edited by MODEL A MODEL; 12-10-18 at 10:39 PM. I do appreciate that Egon! Don, you're part of the group of builders (also for example Roger Zimmerman) that I've been awe-inspiredly following on this forum, lurking as I went, so I'm glad you like the project. Yes on Britmodeller there's more information but I hope I'll be able to implement the most interesting stuff (for the casual follower) in the video log. Feel free to check out the info though, or what part of it I shared online. When the Delage was still a part of the Briggs Cunningham collection it used to feature machine-turned bonnets. Though that looked quite nice, I do prefer the current looks. 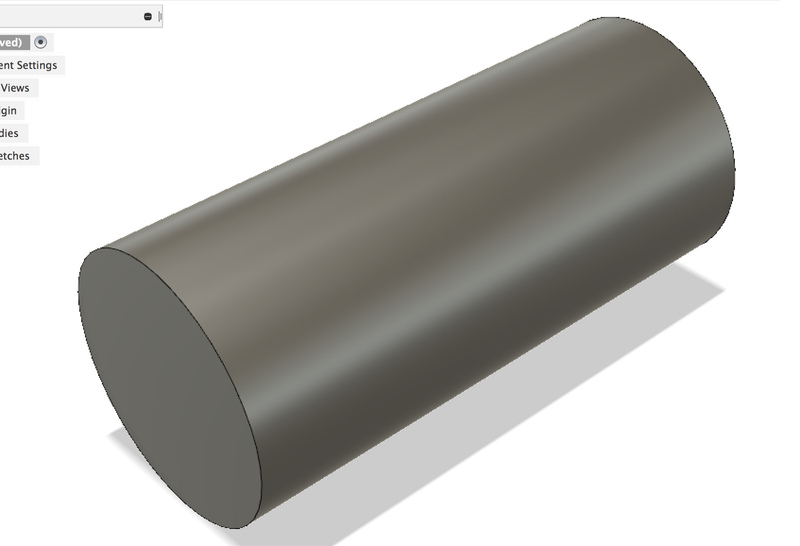 For those who know how to use the lathe and mill, the following provides a better insight as to how Fusion 360 can be used. 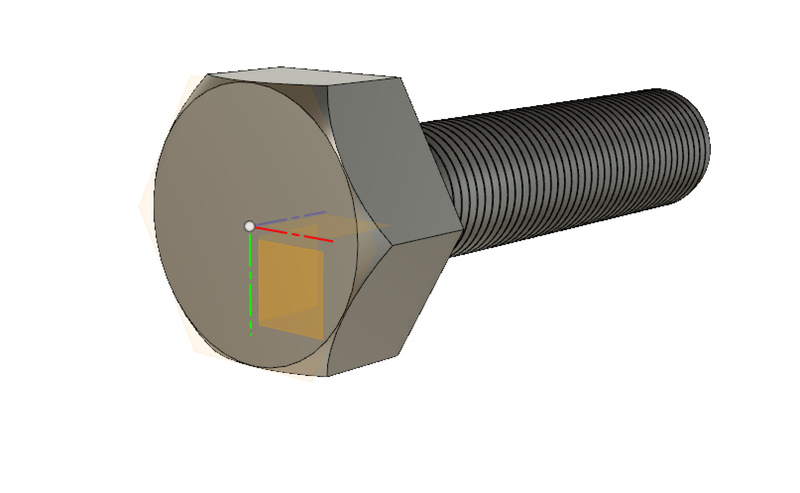 Basically, the same way of thinking can be utilised: work with rough shapes, cut off a bit here and there (by lathe or mill for example) or add something (by bolting or soldering for example). Suppose we recreate ye olde bolt, from a brass cilinder. First we will draw the basic shape the cilinder is derived from: a circle. This circle is made 3D by extruding it. An unlimited number of circles on top of one another thus becomes a cilinder. But we'll leave the cilinder partially intact. That will become the head of the bolt. Using the lathe, we'll cut the thread. Then the bolt is mounted on the milling machine. 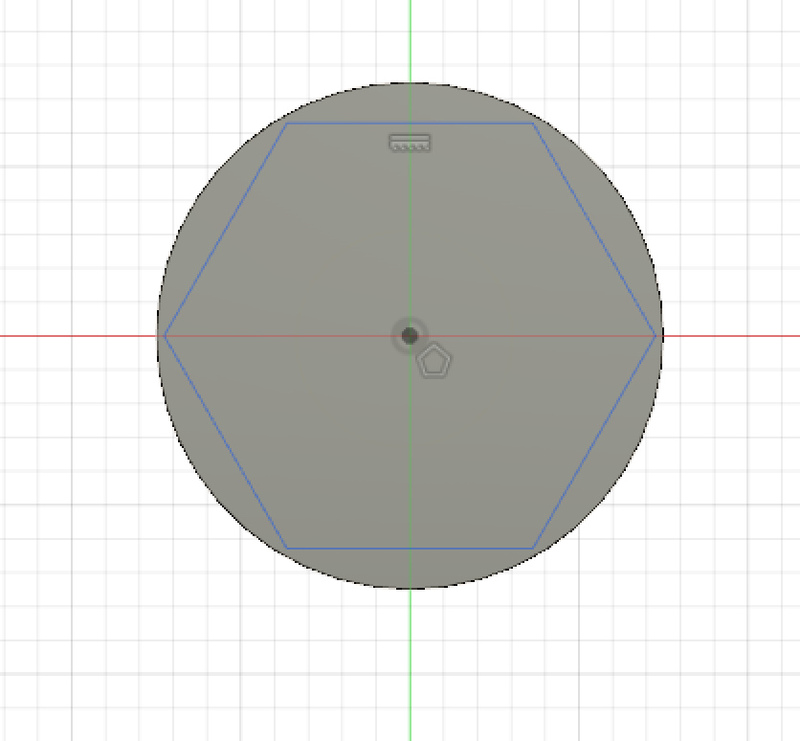 In the next screenshot I sketched the hexagon that needs to be milled. These are the parts that need to be cut away. 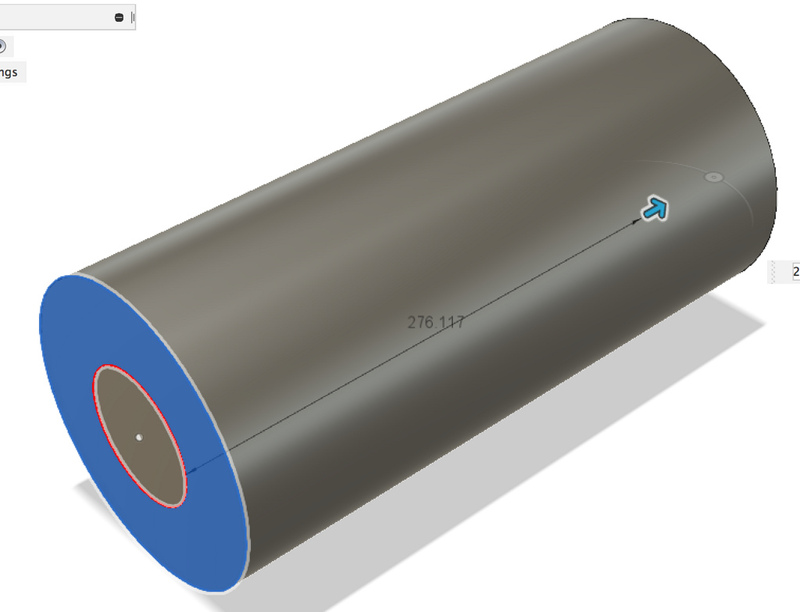 In Fusion 360 I'll select the area between hexagon and circle (resembling 'battlements') which I will use as milling bit. 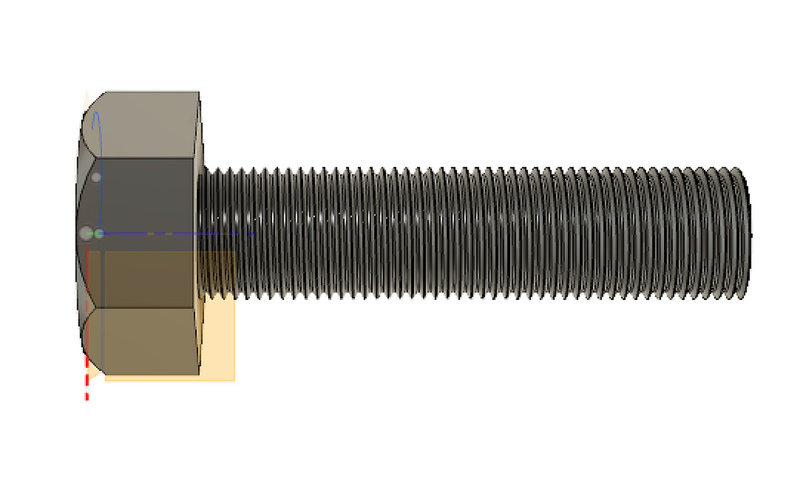 That's another way to draw a bolt. Finally the bolt is mounted back on the lathe. I sketched the lathe in the drawing hereunder: the blade is on the left and the chuck on the right (to be recognised by the arrows). 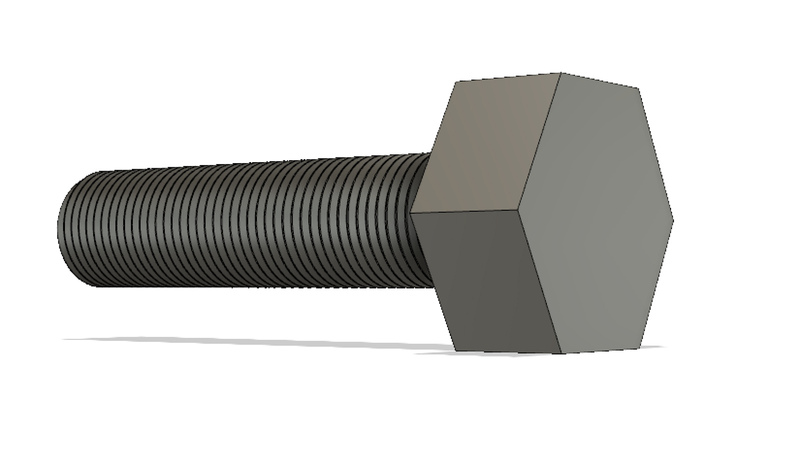 Suppose the bolt is mounted on the chuck. You can already see that the blade will cut off part of the bolt. 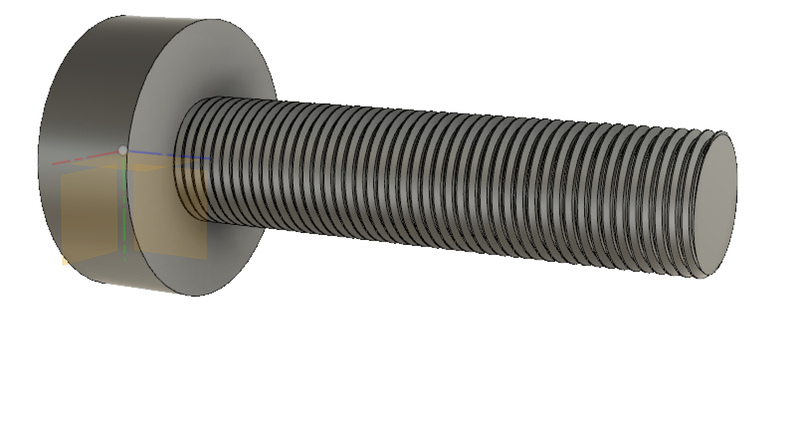 The difference with a true lathe is, that in a lathe the bolt turns around its own axle. 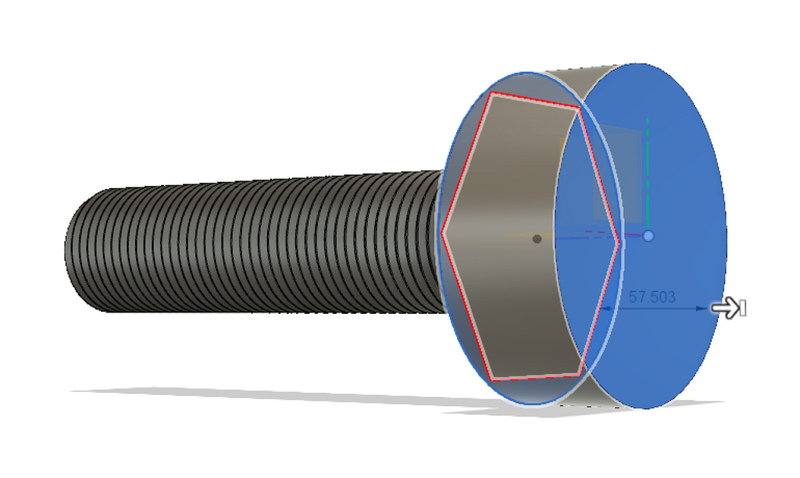 In Fusion it's the blade that rotates around the bolt. In Fusion you'd select the left shape as blade. You tell the software 'rotate this along the central axis and remove all encountered metal'. By the way I'll not try convincing anyone to using this software. I'm doing these preliminary explanation efforts just to remove part of the mystery surrounding these 3D suits and to share some understanding of how it works, so that those interested will be better able to follow my progress later on. Last edited by Roy vd M.; 12-11-18 at 10:52 AM. I agree that the engine turned bonnet though "pretty" , had no historical bases. And I for one welcome the CAD videos! Thank you! Thanks Don and yeah Thierry... finally posting a bit. 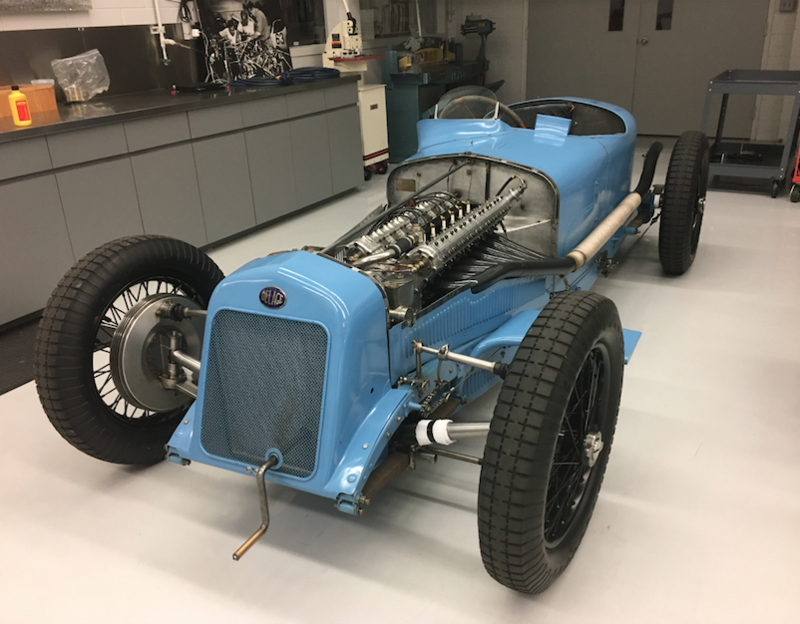 I was lured to the forum almost two years ago by Propeller's mesmerizing work on the Talbot-Lago Grand Prix car. I learned a lot of that... now I've been reading through Roger Zimmerman's build report on the Continental II. A lot of good stuff to be found here! I like quizzes, especially toward the end of the year. The photo depicts part of the Delage's brake assembly. 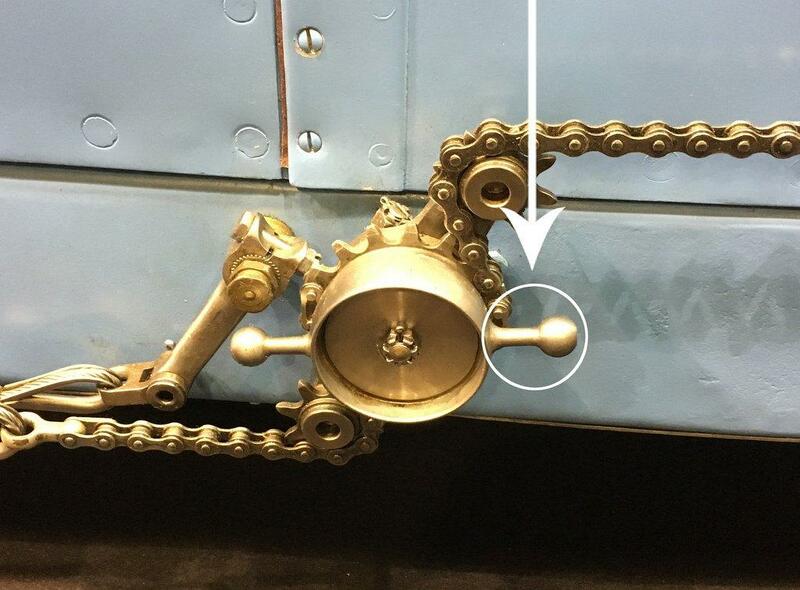 At first sight the encircled handle appears to have a complex shape. 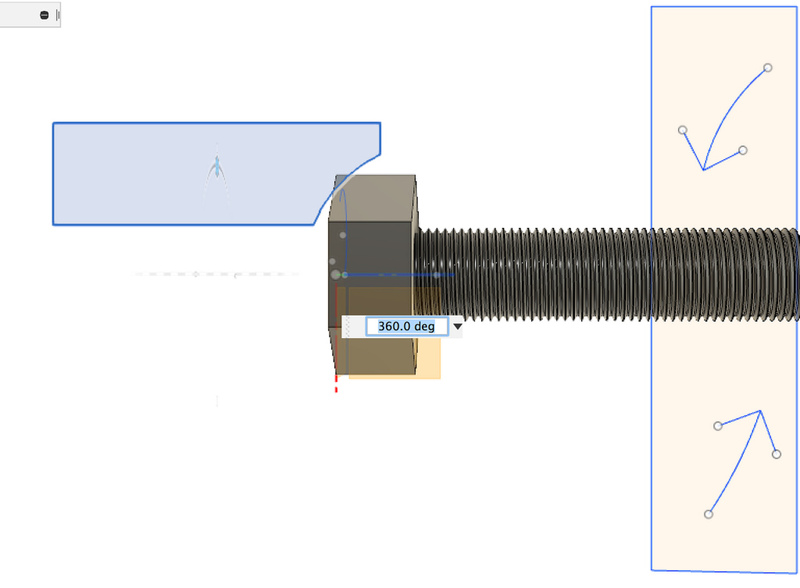 However, those who have attentively watched the vlogs (or the step plan in my previous post), might have an idea as to how this part may be designed in Fusion 360. Hint: you'll need four steps. 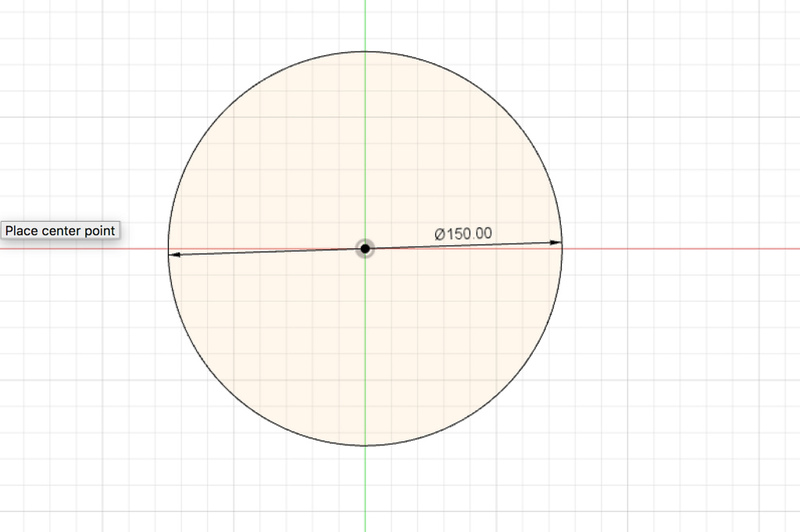 The first step is, just like in the step plan, to draw a circle. Solutions can be posted in this topic or PM'ed to me, either today or tomorrow. Have fun! 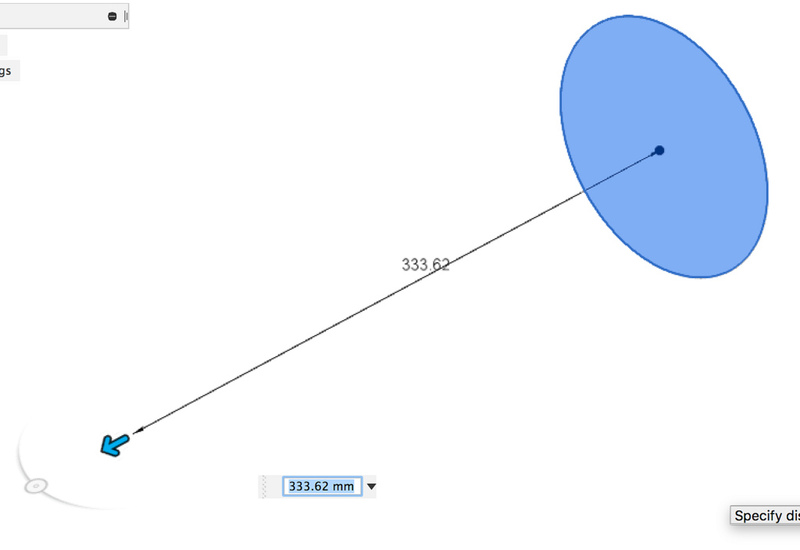 Make a sphere, extrude one end, widen the end, then use the lathe tool to give it the proper profile? Approximately yes Richard. Perhaps that's another way to do it but it would not be the easiest way. I had the morning today to read all of your postings on Britmodeler! That was a lot to digest! Postings, and drawings! and videos! it really was exhausting! I guess I'm a binge thread reader, as I regularly read in whole, the postings here on this forum, and can boast having gone through Rogers build four times over the years! I read at length all the variations of "Engine Turning" experiments and advise, and though you have arrived at a very good, and practical method, I thought to add my two cents. I have used mechanical erasers, available at most art supply shops. Several grades of coarseness are available, their diameter is constant, but it can be reduced by rolling its edge against some sandpaper, and with a motorized unit, it is very easy to apply. For all soft metals, this is a workable solution, for hard metals, hard or firm felt discs, or leather punched out and glued to the ends of dowel stock, can be used with honing / polishing compound to the same result. Small stiff wire brushes, contained in a mandrel, and dipped into the above compounds will also work, but the appearance is "scratchy"
-And to you and your family, a Merry Christmas! PS- Have you tried to "swirl" the nickel plating? It should be able to withstand this process, and if it does wear-through, look into "Brush-plating"
Last edited by MODEL A MODEL; 12-13-18 at 06:22 PM. Another person who appreciate what I'm doing, thanks! However, I will not apply your 3D method; it's too elaborate and technical (read use of a specific computer program) for my needs. On the other side, it's nice to see younger people coming to scale modeling.